There is another new update to Skype for Android, the second such update in as many weeks. The latest build, version 7.16 for those keeping score at home, brings some fixes and improvements to the messaging app but more importantly, brings Accessibility support to Bot cards. As you might remember from the last update, Microsoft and their partners added a new Bots feature where you could get automated information and even place orders with some companies. Now the company has enabled those Bots to work with the accessibility features of your phone. 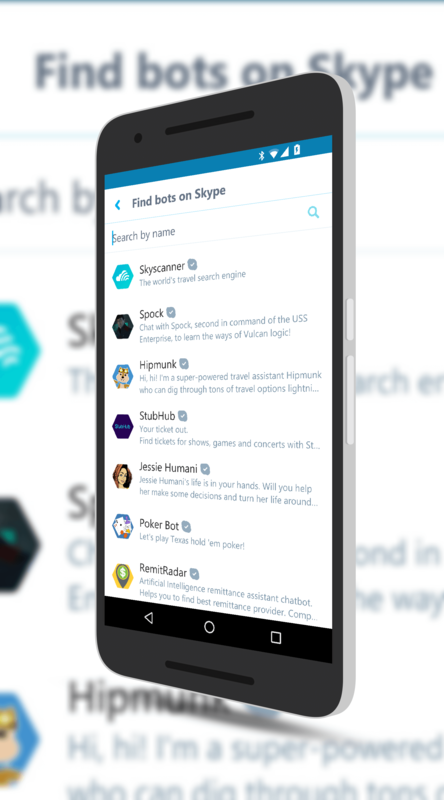 If you have those features enabled, Skype will now support it and allow you to interact with the Bot properly. viewing. There is also an update specific to Samsung devices running Android Lollipop 5.11 and Android Marshmallow 6.01. Skype on those devices had some instability issues and the development team got to the bottom of it to address it. While there are many messaging apps out there, Skype remains one of the more active globally across all platforms. If you haven’t given it a try, you can do so free in the Play Store.